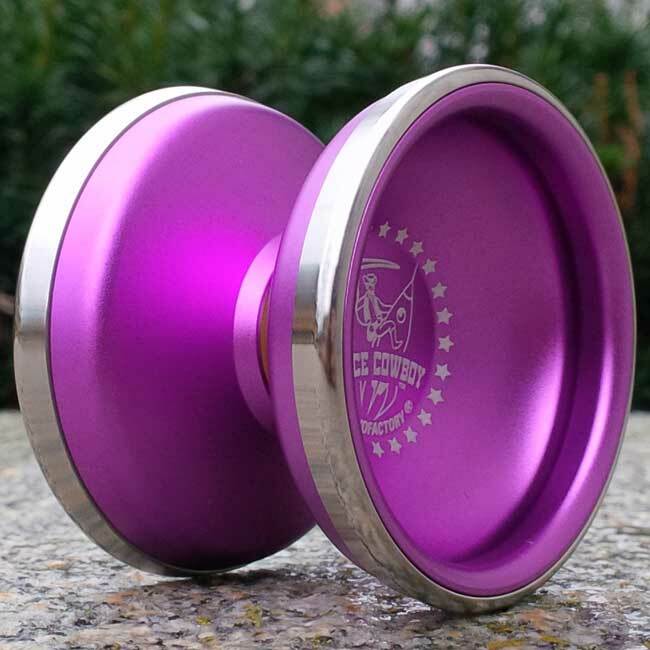 The Space Cowboy is the 2014 Signature yo-yo of YoYoFactory team member Tyler Severance, whose previous models include the SuperNova and the Severe. Made of 6061 aluminum with stainless steel weight rings, the Space Cowboy is the first worldwide release of a bi-metal yo-yo from YoYoFactory. By using metals of different densities, the weight distribution can be finely tuned far more than using a single metal - the aluminum body can be made lighter while the denser steel is concentrated on the rims for extended spin times. The Space Cowboy comes with a Center Trac bearing and uses cbc slim pads for response, and comes in a tubular package signed by Tyler Severance.